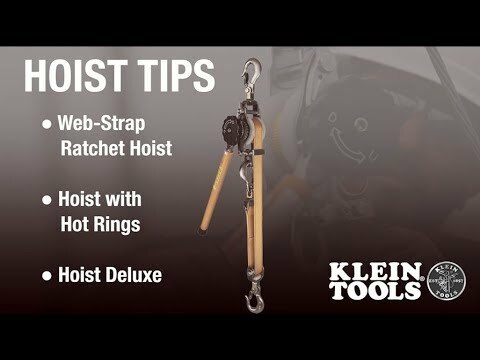 Klein Tools' Web-Strap Ratchet Hoist with hot rings to accommodate hotsticks. The hoist features a tighter ratchet to reduce work and fatigue. The handle and drum knob allow you to safely control the tension release to avoid free wheeling. The hoist can be used in both a single line and double line configuration. The handle provides a 360-degree range of motion for easier adjustment from any angle.